The Amaryllis has finished flowering now and there are a couple of things I did this weekend in order to get it prepared for the coming year. Firstly, I snapped off the two offsets that the main bulb had created. I want the main bulb to concentrate on stuffing just itself with nutrients in order to make next year’s flowers and not put the energy into fattening up the offsets. I potted the offsets separately. 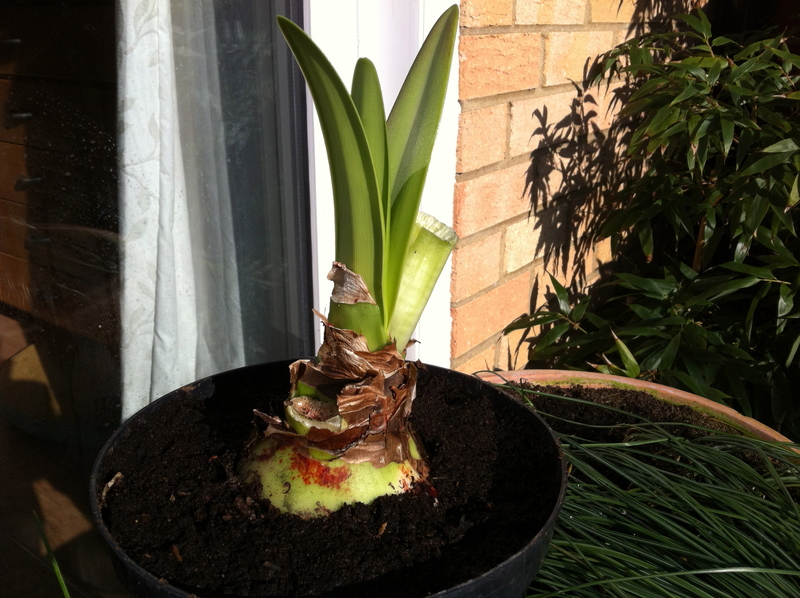 The main bulb has a good root system but I would have liked to completely replace the soil; in the end I settled for carefully scraping off as much as I could and refreshing that. I can always feed with liquid fertiliser during the summer. Finally, I gave the offsets and the newly re-potted main bulb a good watering and set them all outside. As the nights are still cold, I will bring them inside in the evenings but take them out for the day. As soon as the nighttime temperatures stay above 5° regularly, it will stay outside until autumn.